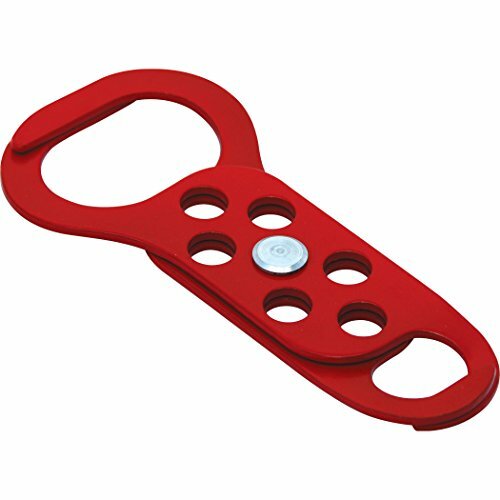 Lockout safety supply’s double-ended lockout hasps are made from tempered steel with an aluminum rivet, which provides smooth movement. The hasp measures 5.35 inch L x 2.5 inch W and accommodates up to 6 padlocks, with a maximum shackle diameter of 3/8". Closed hasp Hole Size: 1'' and 1 1/2'' closed hasp Hole Size: 1" and 1-1/2"